The Use of Storytelling and Anecdotal Stories as Pedagogic tool in the Literacy and Language Classroom: Story Activities for the Literacy Classroom (Sarah Telfer, Associate Professor, The University of Bolton) – Sarah Telfer is an Associate Professor at the University of Bolton and a Senior Lecturer in Skills for Life and Teacher Training. She is a course leader on Initial Teacher Education ITE) courses at the University of Bolton. Sarah completed a BA (Hons) in Drama and worked as a professional actress for seven years in film and TV, before applying these skills to teach Literacy. She has recently completed her Doctorate in Education and her area of special academic interest is on the use of storytelling and anecdotal stories to promote engagement and interaction in the language classroom. There is an Indian proverb which states: Tell me a fact and I’ll learn. Tell me a truth and I’ll believe. But tell me a story and it will live in my heart forever. Gibson (2012) proposes that we are wired for communicating through and learning from stories. Literacy can learners bring ‘funds of knowledge’ and rich stories to the English classroom. Their stories come in form of their own life experiences and from their local communities, based on their beliefs, customs, and social identity. Storytelling traditions are vital in every discourse community where the spoken word is relied on as one of the main forms of communication. 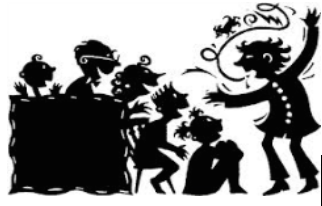 Storytelling is therefore an essential pedagogic tool which can be transferred to the literacy and language classroom to generate creativity and imagination in teaching and learning. This workshop will explore the use of storytelling and anecdotal stories as a teaching technique in the Literacy and language classroom. It will discuss the advantages of using storytelling as a pedagogic tool in learning and teaching to enhance learners’ literacy skills and to encourage learner engagement and interaction in the English classroom. The workshop will explore and demonstrate practical examples of storytelling activities which teachers can take away and use in their English classrooms to improve language comprehension, motivate oral discussion and to promote interesting language usage in all four skill areas: speaking and listening and reading and writing. 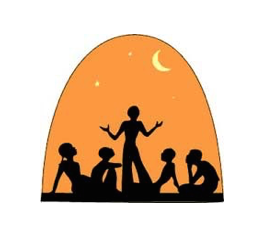 The workshop will invite participants to take part in and consider interactive task based storytelling activities and resources, involving pair work, small group work and collaborative project work. It will also suggest ideas on how to embed storytelling into ICT activities for and Literacy and ESOL learners.